March 23, 2007 will be a date which will live in History. It was the first time in the history of this planet that an Eloah (Yahweh) known also as Jehovah, YHWH and other names- the present “god” of Jews, Christians, and Catholics- contacted telepathically through mediumship with a human being. Any other unprepared medium would have been destroyed due to the intense energy that an entity of an 8th Spiritual plane (Elohim) has. Jorge Olguin: We will summon to Eloah Yahweh who was planetary logos of Sun 3, planet Earth. Yahweh: You have summoned me. Yahweh: I am awaiting your questions. Interlocutor: Vvery well. I’d like to know for sure if I'm communicated with the Eloah called Yahweh, and if it is the first time that you make contact in this planet through a medium. 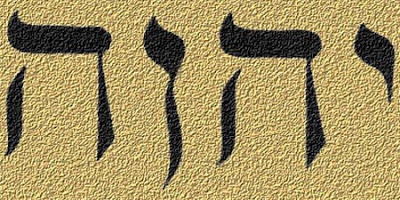 Yahweh: I am the one you know as Yahweh, Jehovah, and many other names you named me, and it is the first time that I contact myself at a telepathic level through a vessel in any world there is. Interlocutor: I seek to ask a series of questions to clarify certain aspects of the story that has been known until our days, when you were the planetary Logos. Do you agree? Yahweh: All right, we will see. Interlocutor: What was the reason you were designated planetary logos of the planet Earth and not a spirit of Light like the one who is the present planetary Logos, known as Master Siddhartha Gautama. Yahweh: In fact Logos are not designated, but they agree, and among the different Elohim we agreed that I would rule over Sun 3, and so has it been. If a spirit of Light is occupying MY place, it is another issue. Interlocutor: Now that you are not able to embody in the physical plane, How can an Eloah know what the right thing is? What point of reference do you have? Yahweh: The point of reference of being able to visualize all the flimsy beings of the physical plane, and knowing the guideline they needed to receive so that they had a good criterion. The incarnated beings in the different worlds who are not corrected on time, later on they sow chaos in those worlds. Interlocutor: With all due respect, I’d like to ask you because it is very difficult for me to conceive that an entity like an Eloah falls into such aberrant acts like countless massacres and the terrible and continuous suffering that thousands of defenseless human beings had to suffer as history tells us. I don’t believe that from the beginning you thought to do something like that. Then, What was the thing that contaminated your vision? Yahweh: We are going to start from the base that from the beginning I planned to do something like that, because he who doesn't have correction, later on makes a mistake in his task. Besides the human beings have very little to say about what I could have done, since you, when some smaller animals as you say or some insect bothers you, you use a pesticide and you put an end to them without any remorse of conscience. This doesn't mean that I compare the embodied beings to your insects, I am simply saying that the value of harmony is superior to the value of each life, and the only way to sow harmony in the planet was having them subjected, and I believe that a good directive, a good order, a good command was important in that moment. And there were many tribes that were rebelling and they didn't know another correction than sacrifice, somehow for the greatest good. Interlocutor: Certain religions continue believing that Yahweh is the Absolute. Does this situation affect you somehow? Yahweh: It affects me favorably because I continue thinking that for them I was. I was their God and for me, in my particular way of seeing it, I continue being. I am their God, it doesn't matter if at this time I’am not Logos. And the fact that they worshipped me it was considered correct because it’s a scale of values. They had to worship me because I was ruling over them, and it was considered correct they see me in that way. It satisfies me that it was in that way. Interlocutor: Why the Vegans  came to Sun 3? What was their purpose? Yahweh: To explore, to dominate... The Vegans were a race of my pleasure because in that moment they were disciplined, obedient, they didn't have remorse of conscience if they had to carry out an order. In Sun 3 nothing would have happened if they also had obeyed as they had to. Interlocutor: What does it means for you the words compassion and mercy? Yahweh: They are not inside the term obedience. Where there is obedience, it cannot be compassion. Don't prejudige me as a cruel being because you can imagine a person that suddenly has a tremendous gangrene in a leg and to save his life it is necessary to cut off his leg; a compassionate doctor wouldn’t cut that leg off because he would have pity of the pain that that person would suffer, and he wouldn’t realize that few days later that person will die. Then, if sometimes it’s necessary to cut off a leg to save a life, it’s well done. If in order to save the discipline of a planet, it is necessary to exterminate two or three tribes, it’s welcome. Why did I forgive the lives of some maidens? Because it was a demand of the Vegans. Interlocutor: Were there other Elohim? I’ll name them to you: Hashem, Shaddai, Kadosh, Ramahan and Adonai. What function did they fulfill? Yahweh: They supervised different worlds and not all of them were planetary Logos obviously. You speak of compassion, well, Adonai was compassionate but speaking in a terrestrial language I saw Adonai as weak. The others too, although they were not compassionate, throughout time they were transforming and practically it is like they don't conjoin my way of seeing what reality is. I see them as soft, as weak. I believe the other way around of what those spirits of Light say, I believe that Love weakens, because Love is permissive and all that is permissive is weak, it’s weak. Interlocutor: Elyon was planetary logos of Vega 5 who according to the story  consented the “cruelty” of his people the Ha. His influence also came to this planet. Did you agree with him or you were depending on him? Yahweh: No, I was not depending on him; we didn’t reach an agreement either. He had a lot of conceptual power, what you would call mental power, and it was a fight of powers and I could not subdue him. He directly took possession of different lands and there was no way to eradicate him. Although I had a title of Logos that didn't help at all, there were several dominions that I could not penetrate. Besides he didn't endorse the cruelty of the Vegans. Directly he endorsed the obedience of the Vegans. Interlocutor: In occasions were you able to materialize yourself? Yahweh: No, no. to communicate with the plane 1, with the body of desires or with the causal body or the body of ideas of several human beings, Part of me directly lowered from level to be able to communicate. But not, materialize myself. An Eloah doesn’t become material. An Eloah can make focus as any spirit of Light or spirit of error does and deceive those who see, or those who think they are seeing things. Interlocutor: How does an Eloah reverse his negative karma in the case he has it? Yahweh: There are many theories, then I will say how it is. It has been said about angels, how angels embody, they reverse their karma, and it is the 10% incarnated that goes to a spiritual plane of error, not the complete angel, not the complete entity, but the 10% that embodied, to repair that mistake and to learn a karmic lesson. In our case we don't embody, therefore we don't go anywhere, nor to a denser plane to learn certain lesson. Directly it is like those weak Elohim who think they are in the right path, they try to exchange ideas and concepts with those who believe also that are in the right path, but in the opposite sidewalk. And it is a fight of powers to see who is right. I continue insisting that I did the right thing. Interlocutor: Which was the function of Moses? Did he represent your interests? Yahweh: He was subjected, directly by terror, by fear of me. And I assume it, because I needed somehow somebody that represented me faithfully in the physical plane. In spite of the short life of the incarnated beings, in the little time that he was incarnated compared to the time that Elohim live from the beginning to the end of the universe, in that moment he was useful and he represented me well. If he, with his roles of ego, enjoyed somehow with that control that’s another thing. The only two Elohim who think that we did the right thing are Elyon and the one who speaks with you. Interlocutor: if God is Love, as we believe, Don't you believe that your doctrine is opposed in certain way with that? Yahweh: Is it opposed with the free will of God? I don’t think so, because if you say that the Absolute is Love, I say that the Absolute is free will. Then He has to respect my free will. Do you want me to change my mind? Let’s debate. I debate permanently with the other Elohim those who call themselves my brethren and I don't know if they are. Interlocutor: What happened when the Master Jesus disincarnated and he was designated Solar Logos. Did you have to answer for your actions to somebody? Yahweh: No, because free will also exists and when there is free will, nobody answers for his actions. Directly the other Elohim decided that my cycle had finished as a Logos and well. One cannot be opposed to the sum of mental powers, because they can make focus and cause a conceptual pain, which is a pain different to the physical pain. I would compare it to the emotional pain that all of you feel. If several entities who have the same capacity than one send among all of them a negative conceptual energy, they can make me feel a conceptual pain. And what for? It doesn’t make any sense; anyway the title didn't serve me at all. The incarnated beings of this world, nowadays, they continue thinking of me as the creator. Interlocutor: After a long time, if you had to fulfill the same function again, would you change something? Yahweh: No. because it seems to me that human beings have to be disciplined. Anyway today it’s another time, today it’s another world, Sun 3. There are many more languages, there are many more dialects, and there are many more inhabitants... Many are skeptical. I wouldn’t find the way to subject all of them at this time. The human being today is less naive, although he is a believer, besides there are many people who endorse my behavior. The Protestant branch in general endorses my behavior, and there are several branches that endorse my behavior, and several Protestant ramifications not only endorse it, but they also applaud my behavior. Interlocutor: You already know perfectly who we are; Do you believe that we are doing the right thing? Yahweh: For your way of thinking yes, for your way of thinking it’s fine. Do you want to evolve? Perfect. I have another point of view, I have a point of view in which all must be united, and if suddenly there is a dissident tribe that doesn't want to be united, that tribe must be sacrificed, but it is in benefit of all the tribes. Other Elohim have said, but that is ruling over through terror. Isn’t it easier to rule through Love and that the tribes be united through love? It was very difficult to unite them through Love, because they believed in “different gods”. A lesson was necessary, and I continue thinking of that, and I want that all of you evaluate it. Besides, I don't need to justify myself before anybody, I am comfortable with my free will, I don't need to be justified, nobody requests me explanations. That is to say, the other Elohim request me explanations somehow, to understand me. Then, we debate in a nanosecond what you would do in hours or whole days, and we continue debating. In some things we agree, in others we don’t, and it is fine. I cannot speak of what will happen to me in a thousand of your years. Will I change my way of thinking? In 2500 years of your years I have not changed my mind, perhaps in 1000 years more I change, or in two, or in three thousand years, I don't know. I insist, I don't want to justify myself. Interlocutor: Humbly I tell you that we do need an explanation. That’s the reason of this session. And the question is, if you among all the judgment elements you had, you chose the easiest path for you. Yahweh: To me the easiest path is making use of free will. And I make use of my free will, and nobody can say anything because free will is given by the Absolute . It is fine, you have a sentence: The Free will of one ends where the free will of the other begins. That is a sentence for you, not for me, although obviously my free will also limits me. I cannot subject another Eloah, because he would not allow me to do it, since we are in equality of forces. And at this moment I am not Logos of any world either, I cannot subject anybody even though I wanted because it’s not that I’m being watched over, but somehow I’m controlled by other Elohim. Controlled means that they respect my free will, but they put me certain limits. And it is fine, it is fine. I don't say that I respect them, I tolerate them. Interlocutor: Do you have some message for the current humanity? Yahweh: I could say to the current humanity that if I were planetary Logos and all of you were subjected, just like 2500 years ago I said it’s necessary that this tribe be exterminated, old men, women, children, don't leave a single being alive, if now the same thing happens with some communities, I don't know if this world wouldn’t be more organized. That I am making a panegyric to massacre? It is your point of view, not mine. After all those who read the Bible are you, not me. I cooperated sending ideas to those that wrote it, and if those who read the Bible agree, then they have nothing to say about me, nothing. But I would like you to think a little that all of you think a little, if I were at this moment in control, if there were a unification, what you call subjection, if there wouldn’t be less deaths than there are now, with the tolerance of "Love", of the... but Love is weak. I insist that it is my point of view, taking an earthly way of speaking. I wanted to say that. Interlocutor: Thank you for your communication with us. I don’t have more questions. Yahweh was chosen by the Absolute (Eon) to lead the human race to a preparatory cycle, to mark the way to mankind to the path of spiritual perfection. Yahweh had to lower part of himself to the vibrational plane 4 in order to be able to communicate telepathically with Moses and Aaron. The Christic Energy, also well-known as The Christ was the Solar Logos in that time, he was authorized to designate Yahweh as planetary Logos of Earth. The Eloah Yahweh stood out for his power of communication. For that reason he was chosen by The Creator. Later on, he was praised and worshipped by the Jewish people. The drama was that, in his inner-self, Yahweh didn't have so much power as he manifested. He was tempted by demons and spirits of error who taking advantage of the lower level that Yahweh had descended voluntarily; they decided to tempt him so that he loses control of his mission. They did it !! Yahweh fell prey to Ego; he was dominated by wrath when he threatened to destroy the tribes when they didn't pay attention to him. He was also weak when he allowed himself to be manipulated by a demon when Job suffered terrible torments. He lost control of himself when he destroyed cities and slaughtered people that didn't worship him. In any case, in that time he was the Planetary Logos and there was no other truth than his. When Jesus disembodied, he opted to descend to the Eighth Sphere to share the pain with the spirits that were dwelling there, when he was resurrected, he was raised directly to the plane 4 a Mastery Grade and fortunately Jesus was designated by Lipikas as the new planetary Logos replacing Yahweh, and the Elohim Conspiracy passed to history. A thousand years Later Jesus ascended to the 5th Spiritual plane and he is designated Solar Logos, while The Christ became the new Dimensional Logos replacing Abraxas. The spiritual path of the Galaxy is also modified and the Buddhic Energy is designated Galactic Logos as well. Siddartha Gautama now is the current planetary Logos. The Absolute is known today as EON. This entry was posted at Wednesday, September 16, 2009 and is filed under Biblical mysteries . You can follow any responses to this entry through the .